HDR10+ moves a step closer to Ultra HD Blu-ray | What Hi-Fi? HDR10+ Ultra HD Blu-ray will be shown for the first time at next week's National Association of Broadcasters (NAB) convention in Las Vegas. Samsung Research, in partnership with three other companies, is set to unveil its latest HDR10+ technology for Ultra HD Blu-rays. Working with Deluxe, ATEME (which delivers video service infrastructure) and Scenarist (which develops authoring systems for consumer electronics), the technology will be demonstrated at the NAB convention in Las Vegas next week. The dynamic metadata HDR format, a direct rival to Dolby Vision, was first announced last summer. In January this year, the three founding firms (Samsung, Panasonic and 20th Century Fox) gained support from Warner Bros Home Entertainment. The format is already accessible on Amazon Prime Video for a select few Samsung TV owners in the USA, but now production has been firmed up, its arrival on the physical format looks imminent. The completed production ecosystem – which involved ATEME updating its Titan 4K UHD encoding platform to support HDR10+ metadata insertion, and Scenarist developing HDR10+ support into its UHD authoring system – means that Ultra HD Blu-ray titles with HDR10+ can now be developed 'quickly and easily'. 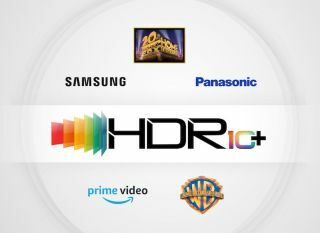 Though some 2018 TVs from Samsung, Panasonic and Phillips support the dynamic metadata format, HDR10+ Ultra HD Blu-rays will be compatible with all 4K HDR TVs and Ultra HD Blu-ray players. Those that don’t support it will simply output the static HDR10 version instead. The first wave of discs are expected later this year. Jim Wuthrich, president of global strategy at Warner Bros Home Entertainment, said: "With HDR10+ dynamic metadata, we can more accurately bring our catalogue of 4K HDR titles to the home across a broad range of HDR10+ capable TVs."